Since the load on the plate roll bending machine is large, so the requirement for the parts strength is high. 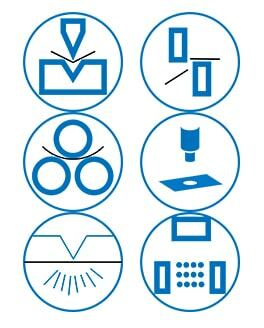 In addition, due to the fierce competition in the market, it is urgent to reduce the cost of the plate rolls, so it is imperative to design the machine accurately and reliably. For the design calculation of the roll bending machine, the force analysis of the rolling machine is required first, and the result is the original parameters of the design of each part of the rolling machine. And the calculation of driving power of the main drive system is the necessary parameter for designing the main drive system and selecting the motor. Therefore, the calculation of the force analysis and driving power of the plate rolling machine is very important to the design of the roll bending machine. 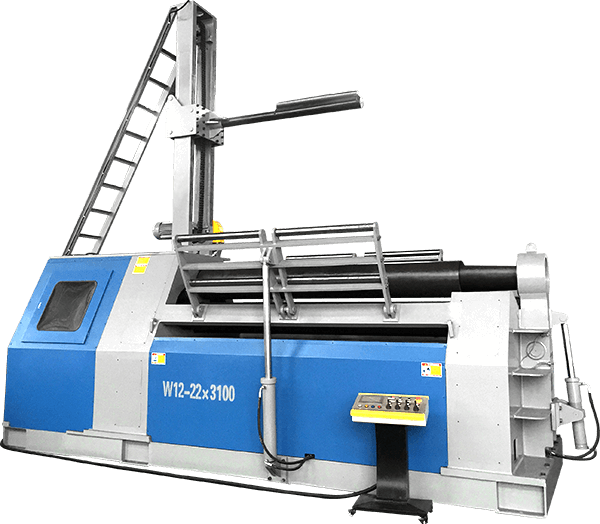 In this post, the calculation of the force capabilities of symmetrical three-roll bending machine is one of the methods, the other types of plate rolling machine can take it for reference. 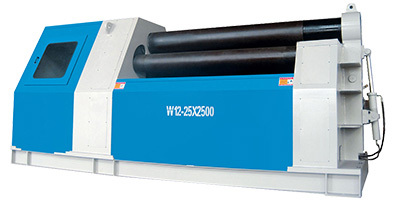 When the plate rolling machine is working, the steel sheet should be rolled into the steel pipe. At this time, the stress of the material has reached the yield limit. K – reinforcement coefficient, the value can be K = 1.10~1.25, when the result for δ/R is big, then take the biggest value. The lower roller of the plate rolling machine is the driving roller, and the driving torque on the lower roller is used to overcome the deformation torque Tn1 and the friction torque Tn2. In the process of steel plate rolling, the deformation capabilities which stored in AB section of steel plate (see Fig 1a and Fig 2) is 2Mθ, the costed time is 2θR/V (V is rolling speed). The size is not yet accurate in the design phase, the value can take Di = 0.5di (i=1, 2). 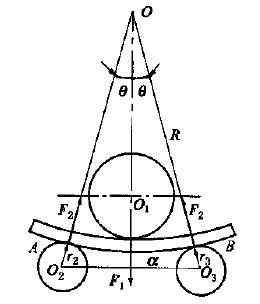 The lower roller drive torque T equals the sum of the deformation torque Tn1 and the friction torque Tn2. The power of the main motor can be obtained from the value of P.
Where did you get all these formulas from? I currently making a report for my school project and my advisor teacher is asking for the formulas references so I can apply them. from experts in this field. You can refer to the calculation formula in this article. Glad it can help you. Kindly check your email to check our reply. Where is the explanation for eqn.1 did you sent it on my email ? i cant see it in my inbox. plz sir it is very important for me.